Conveniently located between Auckland’s central business district and Auckland Airport, Ellerslie is the home of thoroughbred racing in New Zealand, and is perhaps best known as the original site of the Ellerslie Flower Show. This small but dynamic Auckland suburb is a fantastic location from which to base yourself if you’re planning on exploring much of the wider Auckland region during your holiday, and you want to be centrally situated. It’s also the perfect place to be during the first week of March for fans of horse racing – particularly if you plan on attending Auckland Cup Week and the New Zealand Derby at Ellerslie Racecourse. Race days at Ellerslie are a must-do event to mark on your calendar, offering great entertainment, food, fashion and thoroughbred horse racing. 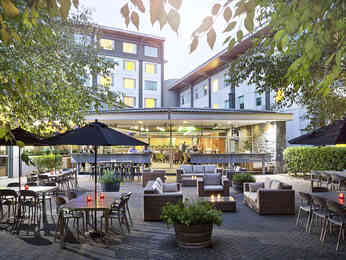 If you’re looking for Ellerslie accommodation or central Auckland hotels, Hotel Novotel Auckland Ellerslie is the ideal spot to put your feet up and relax after a day of wining, dining, shopping, and sightseeing.